In a press release today, ASUS announced that their TF300 transformer tablet will receive the latest Android 4.2 update. The tablet is the first non-Nexus device to receive the Jelly Bean update, which adds multiple user account logins as well as enhanced performance and stability tweaks. A custom ROM version of Android 4.2 has been available on ASUS devices for weeks, but the official update is just now being released. The download, which also includes various bundled apps, is being pushed out over-the-air for US users, while other regions will have to wait till March. Although ASUS's close relation with Google did make the TF300 the first to receive the update, the rest of the company's lineup wasn't as lucky. Neither the TF700 nor the MeMo family of tablets will receive Android 4.2 at the moment, and those tablets will have to wait till Q2 of 2013 at the earliest. Fremont, CA (March 4, 2013) - ASUS is excited to announce Android 4.2 is now available in the US region for the ASUS Transformer Pad TF300T. Android 4.2 will be released to Transformer Pad owners via a free over the air update starting today in the United States and will be available in other regions during March. This new version of Android enhances performance and stability, improves the user experience with new features as well as providing multiple user account logins. The ASUS Transformer Pad TF300 is one of the most successful ASUS tablets to date and offers a full notebook PC experience when attached to the innovative mobile dock. ASUS is committed to providing the best customer experience, and is the first manufacturer to receive Android 4.2 for partnered tablets. 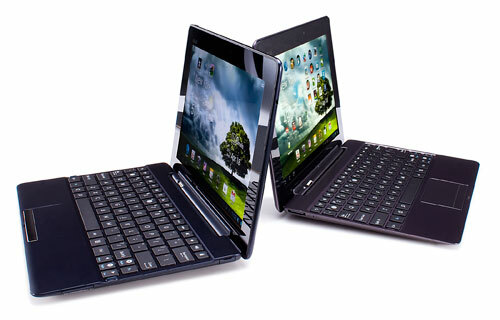 The ASUS Transformer Pad Infinity, ASUS MeMO Pad Smart 10", and ASUS MeMO Pad will receive Android 4.2 in Q2.